The world is said to have become a global village. With the introduction of social networking websites such as Facebook, Twitter, Google Plus and LinkedIn, it is now possible to connect with anyone regardless of where they are located geographically. There are billions of people who use these social networking websites every day of their lives to interact with others and get information. This presents a very lucrative opportunity for brands, businesses and companies seeking to increase their visibility and recognition all over the world. The high number of people using the social sites represents a potentially high market for the products and services offered by these businesses. They also offer the businesses an opportunity to make their presence known to the many potential customers who use the social networking sites on a regular basis. This is mainly due to the uniquely high traffic from these sites. The long durations of time that people spend on these sites also increases the chances of a user seeing an ad about a business or a post by a friend about the business or brand. Social networking sites also offer users the capability to share what they deem interesting with others in their social circles. Because of this there is a chance for viral marketing.This will ensure that the social media users will advertise the services offered by your business for free. Positive reviews about the business or brand spreading over the social web create a very good impression for the business and increases the customers trust in it. When a business is implementing the use of social networking sites as a platform for brand visibility, it is always good to engage the professionals in the field. Perfection Web Designs is a major player in the Internet presence field. 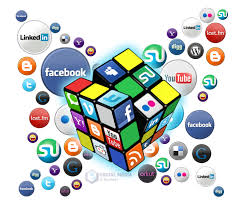 We have a lot of experience in the social media and can get your business to worldwide recognition in no time at all. Get in touch with us to know more about how you can make use of social networking websites to grow your brand or business.